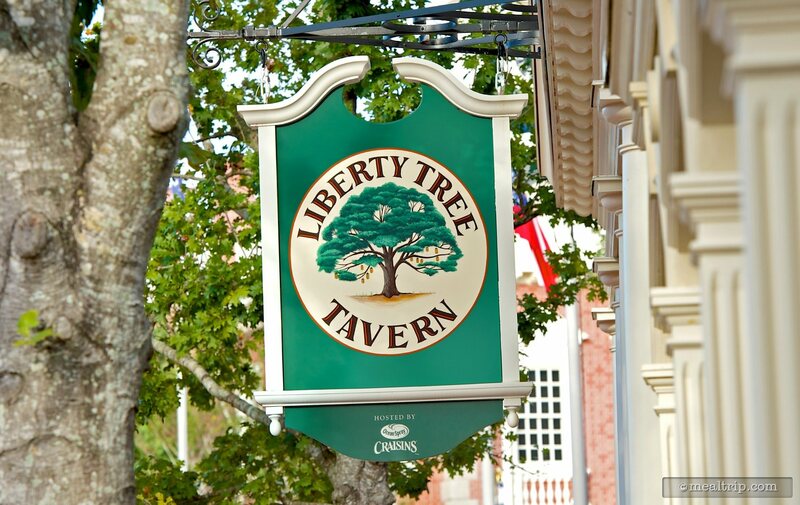 The colonial-era Liberty Tree Tavern is clad in dark wood and period portraits of pivotal figures in US history. There are six fairly open rooms that spill over into one another that are sprinkled with brick fireplaces, curios, and other period rich items and wall coverings. Lunch is an a la carte affair with quite a few unique items. Starters such as blue crab and spinach dip with warm flatbread and Tavern Fried cheese (including a few fried cheese curds) with marinara sauces are customer favorites. A few of the entrees include Liberty Lamb Stew, New England Pot Roast, and the Colony Salad with Washington apples, sweet pecans applewood smoked cheddar, and grilled chicken tossed in a honey shallot vinaigrette. Dessert offerings include a Fruit Crisp, Johnny Appleseed's Cake, and few more prevalent options such as chocolate cake and a sorbet and fruit options. 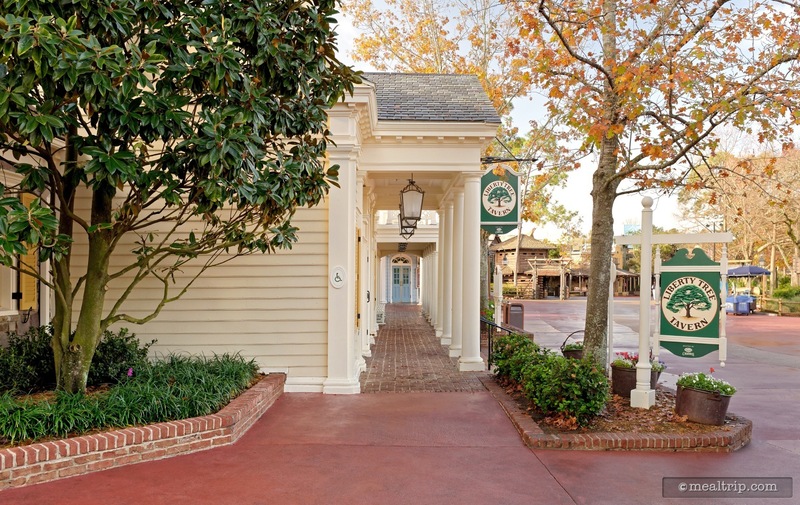 The Magic Kingdom's Liberty Tree Tavern is one of those locations where the lunch-time selections, are totally different than dinner. 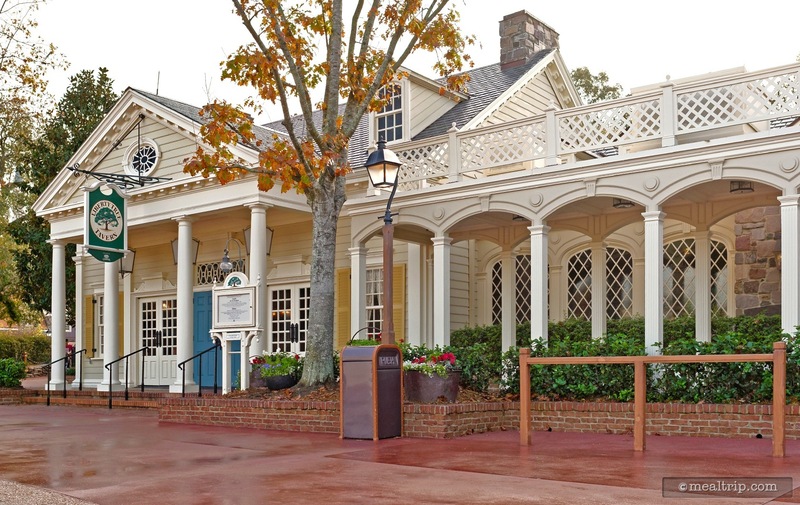 Most are familiar with the "Pilgrims' Feast" which is the dinner period's family-style fare, but the lunch time menu features a good selection of items, a la carte. 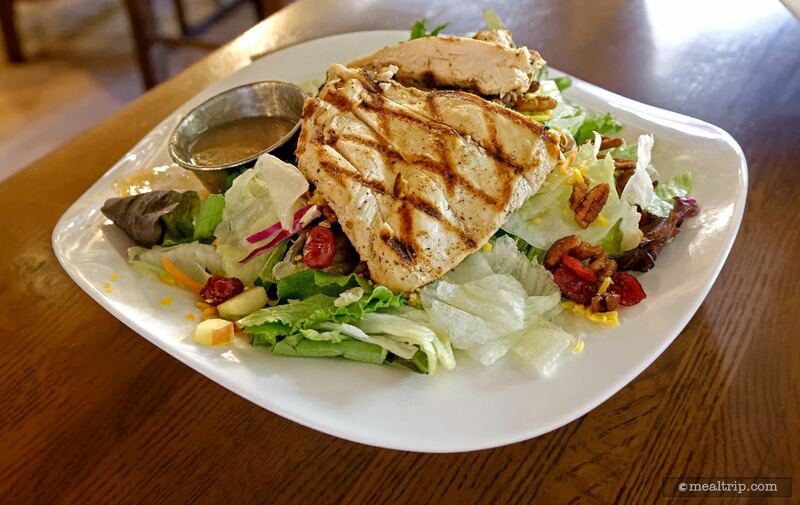 I usually recommend (and order for myself) one of the restaurant's signature items, the New England Pot Roast or the Colony Salad, which is a somewhat unique salad, for those that enjoy dried cranberries and pecans, with a sweet-ish vinaigrette. On this visit however, I decided to branch out and try something that has always caught my eye, the "Freedom Pasta". 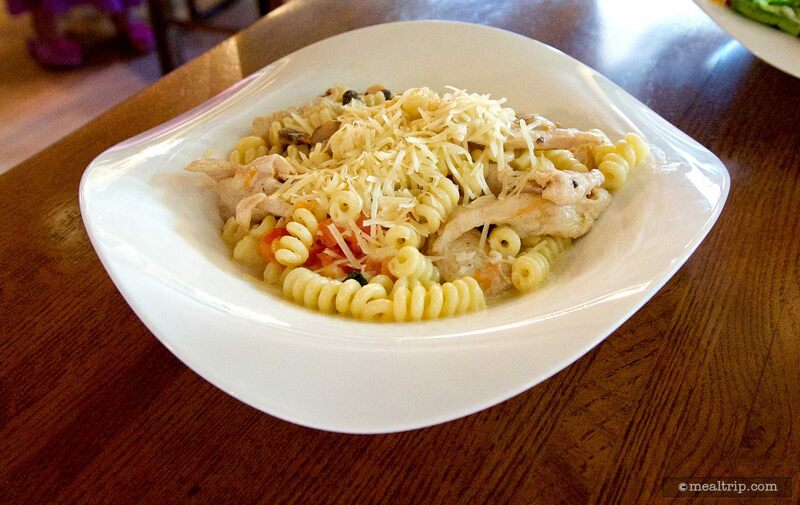 After (honestly) enjoying the Freedom Pasta, I would still recommend the Pot Roast or the Colony Salad. It may be the foodie in me, or just personal preference, but if you're going to use Fusilli pasta, you just need to have a sauce that's going to be thick enough to stick in the spirals. It's one of the cannon's of noodleology. The "Cream Sauce" (as it's described in the menu) was just a tablespoon's worth of water away from being broth, and not a sauce at all. Which is unfortunate, because it did have a rather nice (albeit under salted) flavor. Maybe if an orecchiette or the always cute farfalle were used instead, I wouldn't have noticed. It's a small thing, a detail here, a detail there, such as not a hint of green anything adorning the dish, or the chicken being a slightly lower grade than I would have preferred, it all adds up. Not to a "bad" dish per-say, but just not to one that I would order again. The rather lackluster performance of my entree, was, unfortunately present in other aspects of this visit to the Liberty Tree. I try not to bring any previously gained knowledge with me when I revisit a location, just to be fair. But in this case, had I not known that the different dining areas are decorated with objects and decor to reflect famous historical figures from the revolutionary period, such as George Washington, Thomas Jefferson, (and the room I was in, Paul Revere) … then I would have thought nothing special of the environment at all. I truly wish that each server would bring to their table's attention, which room you're sitting in, and point out a few of the interesting pieces that adorn the walls that match your room's historical figure. Otherwise, you may just be left to assume the whole restaurant's theme, is a mismatched paneling job leftover from the early 70's. Together with the now, all plastic flatware and soda mugs, the "immersive environment" that I enjoy when dining in-park, is getting rather thin. 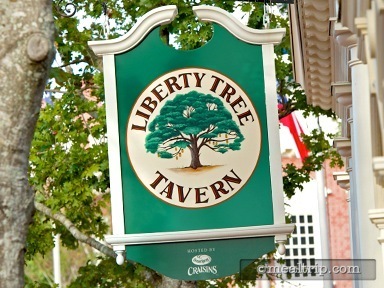 All in all, I would still recommend The Liberty Tree Tavern for lunch, especially if you're in the mood for a great pot-roast or salad. And when you're there, just take a second and look around… ask your server what room you're in, and try to identify the details that match your historical figure. There are unique details there, both in the room and the food, that are currently just a bit more hidden than I would prefer. Don't forget to leave room for an Ooey Gooey Toffee Cake or a Johnny Appleseed Cake, both of which are delicious, (and unique to Liberty Tree Tavern) desserts.